WOKING Hockey Club is about to lay down the foundations to bolster its future, writes Andy Fitzsimons. The Goldsworth Park-based outfit has received the green light from Woking Borough Council to install a second state-of-the-art international playing surface at its facility off Wishbone Lane. With one premier artificial playing surface already in situ, the club confirmed to the News & Mail (1 June ’17) that it has commissioned contractors to replace the second playing surface as early as next month. And whilst many other amateur-status clubs are reliant on local authority funding or grant aid to make improvements, Woking has managed to self-fund a second full-size, dressed artificial surface to the tune of £305,110, which includes new high-rise perimeter fencing. With no less than 38 teams amongst its ranks, including 462 colts (boys and girls), Woking Hockey Club is fast becoming one of the largest sports entities in the borough, and looks set to keep growing incrementally, year-on-year. 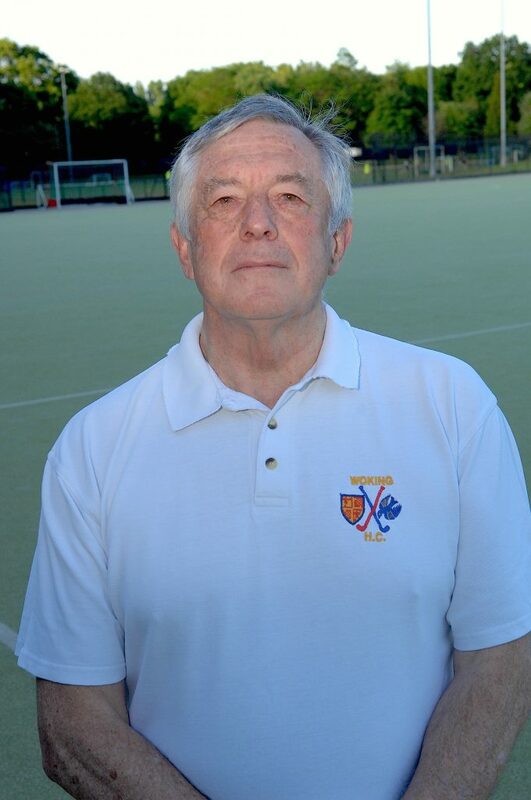 In response to the improvement works, John Hughes, chairman of Woking Hockey Club, said: “We’re pleased to be one of very few clubs in the country to be able to get the funding as a result of our business strategy. We haven’t needed any loans or grants. “The new playing surface will be virtually identical to what we have on the adjacent pitch; it will be a big improvement to the current surface, which has been down for the best part of 18 years. “The coaching that you can do; particularly with youngsters, on a modern hockey pitch is quite different to a solid playing surface. “With the softer-type of pitch that we’re laying, you can teach players to lift the ball over another stick, which you couldn’t do on the old style ‘Astro’-type playing surface, so it has a number of performance-related benefits. “Importantly for us, the resurfacing work will be undertaken throughout July (2017) and handed back to us in time for the first wave of pre-season fixtures, which routinely take place in August,” he added. The new synthetic turf pitch is being designed and delivered by England hockey’s official facility partner Notts Sport, who recently partnered with the FIH; the international hockey federation. Cleveland Land Services sports team, meanwhile, have been commissioned to carry out the work to ensure the pitch is up to the highest FIH international standards. The new sand-dressed surface is a high specification artificial turf surface designed for fast-paced hockey – and is popular with professional and amateur hockey clubs alike. They’re different to third generation (3G) football pitches; the carpet pile is reduced and the surface laden with sand, as opposed to small rubber pellets. It also comes with a 15-year warranty. Although Woking is housed on a council-owned site, it is able to benefit from renting its facilities to neighbouring local football clubs, which has provided an additional revenue stream to help the club improve its facilities. The new synthetic surface could also entertain netball, basketball and volleyball, making it a real hub of the local community. In addition to the resurfacing work taking place next month, the club is also seeking to erect a small spectator stand to bring it in line with more senior clubs like National League club, Surbiton. Other pipeline provisions include new team and match officials’ dugouts, new goals, and a camera platform for filming games. “At the level we play at now, hockey is essentially still an amateur sport,” explained Hughes. “However, with the level investment that we’ve made into the facilities at Goldsworth Park; and are continually looking to make, we are able to attract some very good players to the club. “Having the right facilities and infrastructure is important. It means that we can attract players; some of which have favoured us over higher clubs, but also because we are able to offer every player an opportunity to play hockey. “We’re also fortunate to have a level 3 hockey coach assigned to each age group, from the under-8s, right up to the men’s and women’s senior squads,” he added. With works due to take four weeks to complete, it is anticipated that the new playing surface will be handed back to the club on 11 August ’17; five weeks or so before the start of the official hockey season.